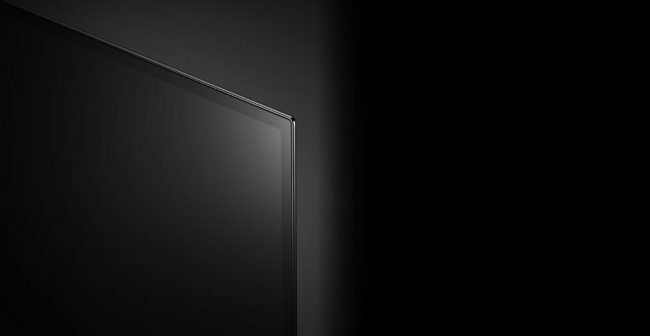 LG’s offering on the OLED TV front was increasingly anticipated since its announcement at the CES. There are several variants on offer from LG and now, each of those offerings has a price tag attached to it; but not the one that buyers will be too eager to know about. As far as we know, the least expensive offering from LG’s OLED line – the C7, starts at around $3,500 at 55-inches. The bigger, 65-inch variant will come for a hefty $5,000 when it comes out in March, according to a report from CNET. The prices here are about $1,000 more than the initial offering price for pre-ordering. They are cheaper than the 2016 models, but are still comparably more expensive than the competitors’ offerings right now. Of the main differences between the offerings are as follows: the B7 follows the crescent stand with the “blade slim” look; the C7 consists of a premium aluminium finished stand and bezels ($3,500-$4,500) and will be available in February; the E7 has magnificent picture-on-glass design that is integrated with its own sound bar ($4,500-$6000) and will be available in May; the G7 also has a similar design as the E7 and also has a picture-on-glass display with a foldable integrated sound bar ($6000-$7000) and will be available in March; the W7 is the most premium of them all, having the ultra-thin picture on wall design with a separate sound bar ($8,000) and will also be available in March. The new OLED technology will have multiple new features for users to get the best out of their picture. The 2017 models will have 25 percent brighter highlights, 2 percent better coverage of DCI/P3 colour (from 97 to 99 percent); is compatible with Technicolor and HLG HDR formats, have an active HDR mode, Technicolor mode and the speaker unit consists of the goodness of Dolby Atmos. For buyers looking to purchase one of these models, they will have to wait, since the exorbitant price right now is too high for the asking. The price should drop for each of the variants as and when the year progresses ahead. The only prevailing difference between each of these models is in the design. All of them produce crisp 4K Ultra HD resolution with High Dynamic Range. They’ve also got Dolby Vision and HDR10, along with HLG (Hybrid Log Gamma). The price aside for now, the ‘Wallpaper’ W7 model will be one of the best offerings that LG has right now. When the price drops, it will be hard for buyers to control the urge of getting one.